Strategic planning is a very important aspect practiced by all organizations. It is through this process that the organizations define their strategy and decide upon how to utilize their limited resources in the most optimum way to get the best possible results. The strategic planning determines the direction in which the company is expected to move in the next few years and this is why it is very important to write down the strategic plan properly so that it can be communicated easily to the employees so that they have a clear vision to move. Many people think that it is fine if they make a plan and not put it on paper as this seems to be a cumbersome task. Before one sits to write down the business plan, they need to sift through all the content that they have and develop what is important. There are some things, which need to be kept in mind to write down the business plan in the most effective way. The first and the foremost thing that needs to be kept in mind is that a few people should work on writing the first draft of the plan. The plan should be written by people who is part of the organization and not by someone from outside as he may not know of everything exactly and might cause a deviation in the most important part of the plan. In the first draft of the plan, one should not worry a lot about having all the last details of the plan. After the first draft is ready it should be presented to the concerned people in the management and board of directors so that they can review it and then finally approve it. When the draft is reviewed they can usually give very valuable inputs to the content of the plan. The plan will essentially have the vision and mission of the company, strategies and goals and these are the parts of the plan where the management can contribute to. The review of the action part of the plan should be done by the employees. The action part of the strategic plan includes the responsibilities, objectives and the timelines set for the completion of the projects. The plan has to be formatted in such a way that there are two parts of it. One part is that which can be sent to people outside the company and the other one which has more confidential data of the company and can be only sent to the internal people. The more detail oriented and confidential part of the plan can be included in the appendix of the data and the body of the plan which is sent to the stakeholders and trade associations should contain the summary, authorization, organizational structure and the mission, vision and value statements of the company. The appendices can have confidential data like the action planning, description of the strategic plan process used, strategic analysis data, goals for board and chief executive officer, budget planning, operating plan, financial report, monitoring and evaluation of plan and communication of plan. By formatting the plan in such a way it can be ensured that only the relevant part of the plan goes to the concerned people. A very essential and significant part of strategic planning is preparation. This aspect of planning though is extremely important but it is very easy to ignore and overlook. It is very difficult to have a strategic focus without sound perfection. The chances are high that without preparation one can resort to tactics. Everybody wants to take immediate actions when they think that these may be beneficial to the business but such impulsive decisions should be avoided. If the preparation is done properly and is of good quality, the effectiveness and the efficiency of the strategic plan will be increased and there will be no need to rework the strategy because of failure and there will be no opportunities that will be missed. It is imperative to analyze the present situation before one starts with the strategic plan. The analysis has to be done in accordance with the data available and the size of the organization. There are certain areas in an organization, which need to be considered while doing the analysis. 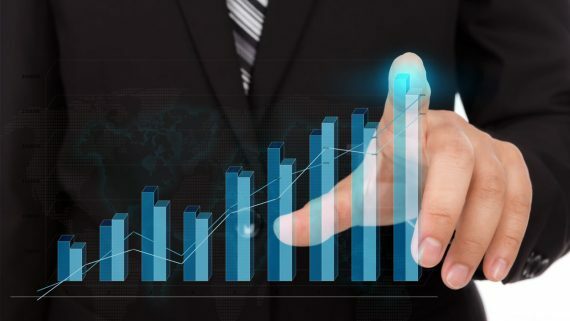 The main areas that need to be analyzed are the financial statements and the financial condition of the company, the main services or good produced by the company and also analyze the data that you use. The data that one uses to make the strategic plan and do the analysis of the company should be such which is accurate and sufficient and also relevant. One also needs to ensure that the ways they are using to collect data are simple and inexpensive. There is some economical data which should be used in the situational sources and one need to ensure the right statistics are used to get the correct information so that the analysis done is correct. To do a situational analysis one needs collect important data and determine the accuracy and analyze it before making a report. While preparing for strategic plan one need to do a SWOT analysis wherein the strengths, weaknesses, opportunities and threats of the company are listed and analyzed. The strengths and weaknesses can be gathered from internal sources and in order to know of the threats and opportunities one will need to collect the data from external sources. By doing a proper SWOT analysis one can get information from both internal and external sources. A proper insight of the business can be achieved with the analysis. When one has done all the analysis and knows the position of the company in the market and its performance internally planning for it becomes very easy. It is very important to be honest while doing the SWOT analysis as a wrong analysis at this level will lead to planning which will never have an impact on the performance of the company for which the strategic planning is done. SWOT analysis is a very essential business tool for any company and for business analysis. Doing a SWOT analysis enables a company to achieve better results as they know the exact positioning of the business with respect to competitors and also the position internally. Another important thing that you should do while preparing a strategic plan is placing yourself in the situation of the customers so that one can easily realize the touch points of the customers. By knowing the touch points one can communicate easily will the customers and increase the sales in a desired way which will increase the profits of the company. This also enables one to know their competition so that the correct plan is made and the correct staffs are hired to service the clients. By training the staff correctly the customers will be happier and be loyal to the company. There are certain ideas and activities that one needs to do in the daily routine of the business. It is always beneficial to put all the ideas on paper so that the mind becomes clear of all ideas and one can put their mind more easily to new opportunities and think more for the success of the company and ways to achieve it. While preparing for strategic plan it is very important to clear the mind from all ideas so that the data can be analyzed and then one can use it to make the plans for the company. A clear mind is very essential to take into account all the aspects of the company so that a good strategic plan can be made which is targeted to all the departments of the company and which can ensure that with the consolidated and synchronized efforts of all these the company can reach soaring heights. After all this is the reason why a strategic plan is made!! Once all the data and the analysis needed are completed, it is very essential to put it down in a systematic way so that it becomes very easy to work on it. While collating one can also ensure that there is no duplicity of data and also all data collected is correct. With all required data in place, one can easily ensure that they are well prepared to make the strategic plan. The strategic plan, which is made with all the data in place, is more likely to result in an effective plan which will guarantee success to any organization. While sending out the plan, it should be kept in mind that some of the stakeholders and other people who are usually outside the organization get a part of the plan and the others get a complete copy. It should be ensured that all the board members and members of the management get a copy of the strategic plan. It should be considered that some part of the plan should be given to each and every member of the organization. The vision and the mission of the company should be posted on the walls of the company so that they are regularly seen by the employees and reminded of their plans and objectives. A card with all the statements written on them can also be given to the employees. Certain parts of the plan can be published in the marketing materials and the regular newsletter of the company. During orientations, one should train employees on certain parts of the plan. The plan should also be incorporated in certain procedures and manuals and these should also be distributed to major shareholders, vendors and also trade unions, which in turn provide support to the organization in the process of growth. Making a business strategic plan is not the only important prerequisite. In fact, writing, formatting and communicating the plan is more important as this is the way it reaches the employees who convert the plans into action and achieve the desired goals and objectives of the company.